Home Editorial Professional Societies Disclose Their Disclosure Policies, But Why Won’t Some Discuss Them? The article dealt with the fallout of Baselga’s failure to disclose millions of dollars he had received from industry, and his subsequent resignation as Memorial Sloan Kettering Cancer Center’s physician-in-chief as well as from a number of corporate boards. The disclosure issue had initially generated a series of articles by the New York Times and ProPublica dealing with Baselga as well as other similar concerns at Sloan Kettering, and my article was posted a little later. As a follow up to gauge how oncology professional societies had responded to the situation, I contacted five organizations and specifically requested interviews with their respective appropriate senior representatives. I wanted to discuss their conflict of interest and disclosure policies regarding staff, members, journal editors, journal contributors, and conference speakers, and whether they had made any amendments to these policies recently in light of some high-profile researchers failing to have made appropriate disclosures. I made it clear that I was interested in interviews, not emailed responses. I sent email requests to the American Association for Cancer Research (AACR), the American Society of Clinical Oncology (ASCO), the Association for Radiation Oncology (ASTRO), the American Society of Hematology (ASH), and the Oncology Nursing Society (ONS), and received a number of varying responses. ASCO and ONS immediately scheduled interviews with their Chief Executive Officers (CEOs). ASH, AACR, and ASTRO said they would be working on statements to address my query, but none of them would offer an interview after several requests, and some of the statements required more than a week to compose, approve, and email. And while AACR and ASTRO’s public relations officers were available to discuss the issue with me by telephone, ASH’s communications manager would only communicate by email. Photo 1.0: Clifford A. Hudis, MD, FACP, FASCO, Chief Executive Officer of the American Society of Clinical Oncology during opening session of the 2018 Annual Meeting of the organization on June 2, 2018. ASCO CEO Clifford A. Hudis, MD, said during a telephone interview that there are two standards of disclosure used by various societies, universal or general, and relevant. Hudis, who had formerly been chief of the breast medicine service and professor of medicine at MSK, said that he no longer had admitting privileges at Memorial, but did have limited privileges to see his outpatients about twice a month as an unpaid voluntary consultant. He said that for years the society has championed the universal or general disclosure model. He added that although all ASCO members are treated to the same universal standards of disclosure, some ASCO leaders and volunteers are held to an even higher standard, including restrictions on activities. “It any preventer violates our policy he or she would be subject to routine review and subsequent supervision and ultimately possibly prevented from presenting,” he said, adding that certain incidents may trigger ASCO to look at what it has been doing and go back and check when and where the person was when that person may not have reported the conflicts. 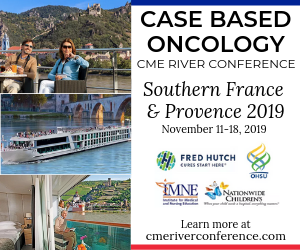 Specifically regarding Baselga, Hudis said that he understood Baselga had to make corrections and disclosures in several scientific journals, including ASCO’s Journal of Clinical Oncology as well as the New England Journal of Medicine and the Journal of the American Medical Association. He explained that there was a legitimate difference of opinion among “well-meaning people and society leaderships,” and that some perceive general or universal disclosure as an invasion of privacy and used relevant disclosure instead. “But our concern with relevant disclosure is that it puts an extreme burden on the discloser to get it right, and runs the risk of an honest mistake even by people of the highest integrity. As an example, Hudis said that hypothetically if someone did a little bit of consulting with numerous companies and published a paper, then it might seem that individual has a conflict of interest, which could make it difficult to figure out if that meant there was no conflict or a big conflict of interest. 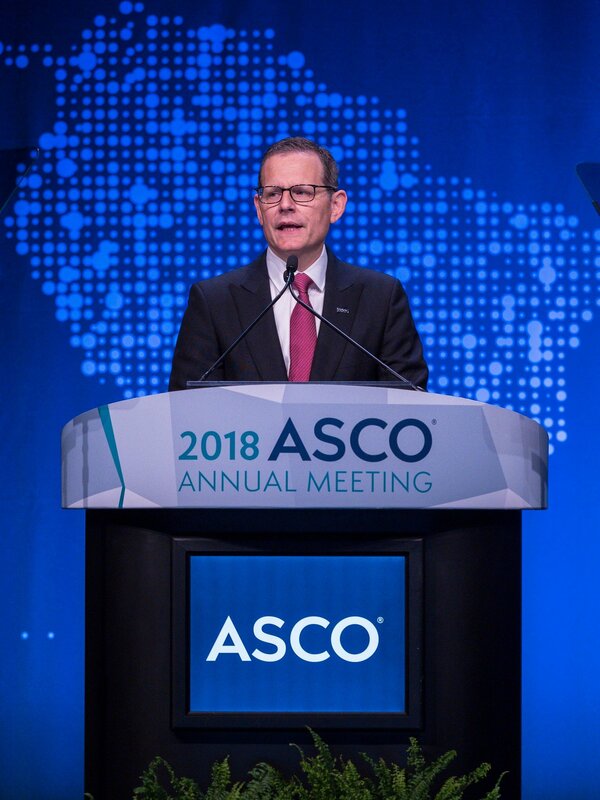 He said that for those reasons ASCO has focused on universal or general disclosure and thinks that going forward the oncology community would be best served if it could reach agreement on a single universal standard. He added that ASCO always asks, “what are your commercial entanglements,” and its board of directors are also asked to disclose any unpaid consultancies to avoid any conflicts of interest. Photo 2.0: Brenda Nevidjon, RN, MSN, FAAN. 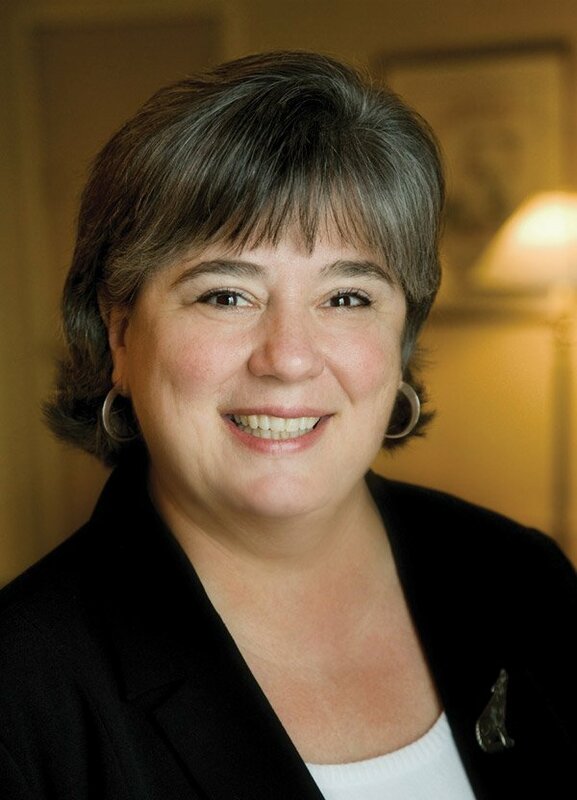 Brenda Nevidjon, RN, MSN, FAAN, is Chief Executive Officer of the Oncology Nursing Society (ONS), a professional organization of more than 37,000 member. She is Professor Emerita at Duke University School of Nursing where she taught in the Nursing and Healthcare Leadership specialty. Nevidjon has been a leader in service and education settings and her career is distinguished by her being the first nurse and first woman to be chief operating officer of Duke University Hospital. ONS offered a phone interview with both its Chief Executive Officer Brenda Nevidjon, RN, MSN, FAAN, and its publisher and director of publications Bill Tony. Nevidjon said that the nursing society takes a very comprehensive approach to conflicts of interest and uses the same policy, procedures, and documentation for its staff and volunteers, including its board of directors, editorial board, think tanks, summits, and project teams. “Our policies apply across the board, and we have an ongoing review of our conflict of interest policies, looking at one third of them every year over a three years period, so that every three years we have a complete review whether we need it or not,” she said. However, she noted that if there was an “event,” it can lead the society to look at things out of sequence, and said that the Baselga situation was the first event she had encountered during her four years as CEO of ONS, and that it had triggered a reexamination of the society’s policies, which did not require any changes. To ensure full disclosure, ONS always asks about any kind of consultant or advisory role and with whom, as well as about stock ownership, honoraria, and research funding. Nevidjon noted that disclosure was embedded in the society’s governance, and that ONS would always prefer to have people disclose and then find out if there is a conflict. Tony added that the editors of the society’s two peer-reviewed journals were both independent contractors who had to sign a significant conflict of interest clause in their contracts, and that the editors and associate editors of its journals, all authors of peer reviewed articles, and editors and chapter authors of ONS-published books were all bound by the same disclosure policies, and signing disclosure and copyright forms was a prerequisite before anything was accepted for publication. As noted, the other three associations would only issue statements and would not offer direct interviews for comment. AACR said that an interview might be forthcoming once its committees completed their reviews and got board approval. The American Association for Cancer Research (AACR) has a longstanding track record of ensuring scientific integrity and ethics. To this end, we regularly evaluate our policies and practices. In light of the current disclosure issues, we have formed an internal conflict-of-interest task force comprising AACR senior staff members across several departments to review any potential revisions and/or enhancements to current AACR conflict-of-interest policies and practices. For additional insight on the topic of disclosures from the cancer research community, the AACR has also convened a panel of experts including several AACR Board members; external, independent scientific leaders; and advocates to provide additional expertise and perspectives on best practices for conflict-of-interest disclosure. The Panel is in the process of discussion, and any recommendations or amendments will be provided to our Board of Directors for its approval. The AACR has always taken—and continues to take—conflicts of interest and appropriate disclosure very seriously. We will communicate any policy and procedure revisions to our members and all key stakeholders. 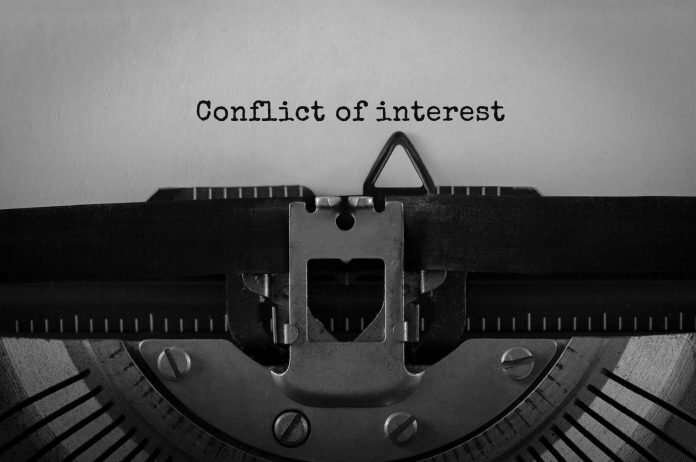 ASH believes that the integrity of the Society and the activities it undertakes depends on the avoidance of conflicts of interest, or even the appearance of conflicts. To that end, ASH has extensive COI policies and procedures in place, which are tailored to specific COI concerns related to various activities, such as educational programs, publications, and guideline development. Appropriate disclosures must be submitted by anyone involved in ASH activities and disclosed as appropriate, and we continually reevaluate and revise these policies and procedures. In response to recent issues in the news, ASH has heard from a number of our members who are looking for guidance about what is expected of them to ensure they are in compliance. ASH has assembled a cross-functional staff working group charged with reviewing the ASH COI policy and suggesting revisions that will simplify the reporting instructions while maintaining our current high standards for transparency. Working closely with the ASH volunteer committees – including those that oversee our publications, awards, continuing medical education, governance, etc. – we hope to provide greater clarity so that our members, authors, and other volunteers know exactly what they need to disclose and when, in order to set them up for success. The ASTRO Conflict of Interest Committee is actively engaged in ongoing review of ASTRO’s COI policies to evaluate whether there are ways to improve prevention, identification and management of conflicts of interest and safeguard the integrity of the Society’s work. The committee meets regularly to review our policies; we held a preliminary discussion on the recent developments involving Dr. Baselga and the ensuing conversations on COI at the ASTRO Annual Meeting in late October and are continuing this conversation in future committee calls. Onco’Zine will follow up when additional information becomes available. *For Onco’Zine’s Conflict of Interest requirements, click here. Featured Image: Conflict of Interest. Courtesy: © 2010 – 2018 Fotolia. Used with permission. Photo 1.0: Clifford A. Hudis, MD, FACP, FASCO, Chief Executive Officer of the American Society of Clinical Oncology during opening session of the 2018 Annual Meeting of the organization on June 2, 2018. Courtesy: © 2010 – 2018 ASCO/Todd Buchanan. Used with permission. Photo 2.0: Brenda Nevidjon, RN, MSN, FAAN. Brenda Nevidjon, RN, MSN, FAAN, is Chief Executive Officer of the Oncology Nursing Society (ONS), a professional organization of more than 37,000 member. She is Professor Emerita at Duke University School of Nursing where she taught in the Nursing and Healthcare Leadership specialty. Nevidjon has been a leader in service and education settings and her career is distinguished by her being the first nurse and first woman to be chief operating officer of Duke University Hospital. 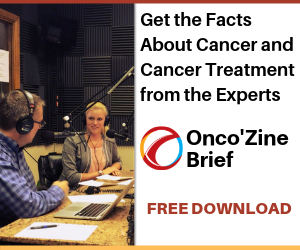 Courtesy: © 2010 – 2018 Oncology Nursing Society | ONS. Used with permission.